While working on a history project that involved a look at the interplay of sports and media in New York City at the end of the turbulent 1960s, I kept encountering a somewhat mysterious figure at the periphery of key events. There he was in February 1968, as protestors stormed Madison Square Garden in an attempt to prevent athletes from competing in the 100th edition of a track meet sponsored by the restrictive New York Athletic Club, a protest staged by those who would organize demonstrations at the Olympic Games later that year in Mexico City. There he was months later, in April 1968, behind the scenes as the city's mayor, John Lindsay, tried to keep the peace on the streets of Harlem in the hours immediately after the assassination of Dr. Martin Luther King, Jr. in Memphis. He became involved with events such as the student protests at Columbia University in 1968; the demonstrations that erupted in 1969 after police raided the Stonewall Inn in Greenwich Village and prompted a backlash that has been heralded as the birth of the gay-rights movement, and the so-called “Hard Hat Riot” in 1970, when construction workers clashed with anti-war protestors in lower Manhattan. Whenever I looked at a major event in New York City during this era, I generally found this figure about whom I knew virtually nothing: Barry H. Gottehrer. So began a research project within a research project, one in which a peripheral character became the subject of a stand-alone paper. For it turned out that Gottehrer, who was commonly identified as a special assistant to the mayor, had emanated from the world of journalism. Moreover, Gottehrer had been a journalist of considerable note – he had won a prestigious George Polk Award for his work on a major investigative series that did a deep-dive into the troubles facing New York City in the 1960s, and ended up ousting the sitting mayor. Gottehrer eventually went to work for the new mayor, Lindsay, not as press officer, but as the coordinator of a task force that attempted to quell civic unrest and violence. Researching the background of such an obscure yet important figure proved challenging. I did not find a wealth of primary-source material waiting. Gottehrer boldly emerged on the scene in the mid-1960s and disappeared into the shadows just as quickly as he appeared. The paper trail revealed that he had gone from the Columbia Journalism School to a job with a small Massachusetts newspaper, the New Bedford Times, then ended up working for a number of national publications, including Sport magazine and Newsweek, before ending up at the Herald Tribune. His work on the award-winning “City in Crisis” series certainly put him on the journalistic map, but his role as Lindsay’s chief peacekeeper earned him much wider acclaim. The New York Times devoted considerable real estate in its Sunday magazine in September 1968 to a profile of Gottehrer, whose job was described as “keeping the city cool.” (A interesting tidbit that had no real place in my paper concerned the identity of the author of the profile: Nicholas Pileggi, who would go on to author a book about organized crime that Martin Scorcese used as the basis for his movie, "GoodFellas," and also eventually marry another famous director, Nora Ephron.) Yet, by the time Gottehrer was referenced in another New York Times article in 1984, it was clear that the author--the two-time Pulitzer Prize-winning journalist Anthony Lewis--thought he was writing about a faceless Massachusetts Mutual Life Insurance Company executive who had distributed a pamphlet that was sharply critical of the ethical standards of journalists. How did a journalist who had won one of the profession’s highest honors decide to abandon the cloak of objectivity and cross the lines to try to make a difference in government in a bold and distinctive way--and why did that same journalist become a virulent press critic after he disappeared into obscurity? The answers to these questions had not been explored in depth in any research that I could find. But not surprisingly Gottehrer turned up in the margins of some in-depth works of history that focused on Lindsay and New York City during the 1960s, as well as a hefty book about the New York Herald Tribune, which was formed in 1924 and represented the merger of two noble journalistic bloodlines dating back to century before: James Gordon Bennett’s New York Herald and Horace Greeley’s New York Tribune. Ultimately, Gottehrer provided the best primary-source material about himself. There was a memoir, “The Mayor's Man,” which focussed on his years as the city’s peacekeeper, but offered little discussion of his years as a journalist. An early book, a history of the New York Giants football franchise, did little to suggest the investigative prowess that would later be displayed. A scholarly paper titled, "Urban Conditions: New York City,” published in The Annals of the American Academy of Political and Social Science in 1967, showed his ability as a thinker. Perhaps the best primary-source material was the “City in Crisis” stories, which conveyed hard facts with the kind of strong writer’s voice common at the Herald Tribune, known as a launching pad for such “New Journalism” practitioners as Tom Wolfe. But Gottehrer left that world of journalism behind when he went to work for Lindsay, and just as readily as he retreated from the spotlight when he gave up government work. His name pops up sporadically in the press during a brief time working as a top executive for Madison Square Garden after leaving City Hall; then he effectively disappeared. There was the mention by Lewis in the article about Gottehrer's attack on the press. Then his name only appeared in occasional newspaper or magazine stories looking back at Lindsay and the city he ran during the 1960s. Gottehrer’s professional life was lived in the shadows with scarce clues: Imdb.com lists him working as consultant from 1996 to 1998 for the TV show, Spin City, about a fictional New York City mayoral administration. Finally, when Gottehrer died of pancreatic cancer in 2008, there was an expansive Times obituary, as well as a posthumous tribute entered by a Congressman into the Congressional Record, that tied some of the loose ends together, focusing on the curious story of the award-winning journalist who took to the streets in the 1960s to try to keep the peace. As with any project, I was left wanting to know more about my subject. The trouble is that as I continue to look at sports and media in New York City in 1960s, I keep encountering other figures at the periphery. There is the TV executive who brought “happy talk” to one local TV news station and helped create a nationwide phenomenon. There is the Madison Avenue adman who brought bold images to the cover of Esquire magazine, such as the one showing Muhammad Ali--dethroned as heavyweight boxing champ because of his draft resistance--riddled with arrows like the martyr, Saint Sebastian. And how did Marshall McLuhan end up in the middle of all this as a visiting professor at Fordham University, eventually mulling the significance of the relatively new mass phenomenon, the Super Bowl, after Broadway Joe Namath made good on his guarantee to win one with the New York Jets. In other words, there are too many other stories to tell, too many other figures at the periphery. Raymond McCaffrey, Ph.D., is assistant professor and director of the Center for Ethics in Journalism, School of Journalism & Strategic Media, University of Arkansas at Fayetteville. What do 17th Century Indigenous Mexican Surnames Have to Do With Journalism? "Joel Thurtell (MA 1968) and Emily Merchant (PhD 2015) published the article 'Gender-differentiated Tarascan Surnames in Michoacán' in the spring 2018 issue of the Journal of Interdisciplinary History. Thurtell writes: The idea for using Mexican parish registers came out a History class I took from Emmanuel Le Roy Ladurie in fall of 1969. Almost fifty years ago!" I earned a B.A. in history from Kalamazoo College in 1967. I was awarded a fellowship in Comparative Colonization in the New World at the University of Michigan. I was required to attend weekly discussions at the Institute of Social Research. These sessions promoted scientific history -- a history whose generalizations were based on data analysis rather than the historian's impressions. Prof. Le Roy Ladurie gave me an A+ in his studies course on quantitative methods. I proposed to go to Mexico, find church registers of baptisms, marriages, and burials, and analyze family relations through time. First, I would have to lean to speak Spanish. I went to Mexico, found parish registers, lived with a Catholic priest in a Tarascan village and discovered a secret unknown to historians, anthropologists, priests or anyone: post-Conquest Tarascans preserved their ancient system for tracking genealogy and transmitting everything from personal property to personal identity through a bifurcated structure of name-giving. I saw a means of measuring change over time. A practice like gender-differentiated surnames will evolve over time. One group may retain it. Another may abandon it. By comparing rates of erosion, I can track the retention or loss of indigenous culture in different communities. In other words, I can measure the rate of change -- of assimilation, or lack of it. I am scheduled to read my paper, "Advantage and Disadvantage in Two Tarascan Villages" on November 9 at the conference of the Social Science History Association. On returning to Ann Arbor in summer 1971, I found that I had no fellowship. I supported my research by working in the law library and driving taxicabs. My girlfriend joined the Peace Corps and went to Togo, West Africa. I visited her in Togo in fall 1972 and wound up joining the Peace Corps, learning French and supervising school and well projects in northern Togo. On returning from Africa, we were married. We lived and worked on a friend's fruit farm in western Michigan. I did radio reporting for WMUK-FM, the NPR station at Western Michigan University. In 1978, we lived in Berrien Springs, Mich. My wife was a teacher at the county juvenile home. I was hired over the phone to cover local government meetings in Berrien Springs. I also did features and investigative reporting. My wife wanted to become a doctor. I got a job on the Detroit Free Press in 1984. I retired from the Free Press in 2007. My wife's name was Karen R. Fonde, M.D. She did pre-med, med school and residency at UM and was a professor there until her death in 2015 of Alzheimer's Disease and Lewy Body Dementia. In 2009, Wayne State University Press published Up the Rouge! Paddling Detroit's Hidden River. Originally, this was a Free Press report on Michigan's dirtiest river. In the midst of production, Knight-Ridder sold the Free Press to Gannett, and the new editor scuttled our Rouge story. What eventually appeared was timid and insipid. I convinced WSUP that we had a book with my writing and photographer Patricia Beck's photos. The book was named a Michigan Notable Book by the Library of Michigan in 2011. That was the year that the faculty of Wayne State University named me Journalist of the Year (I think) because of my blogging (joelontheroad.com) about the trucking magnate who owns the Ambassador Bridge between Detroit and Windsor, Ontario. I also broke the story of how California public schools were being bilked by purveyors of a very expensive form of municipal debt known as Capital Appreciation Bonds. I did not receive an award for that work. I was retired. But the California League of Bond Oversight Committees paid my air fare and hotel costs so I could be the featured speaker at its 2013 annual meeting in Sacramento. That work was based on my previous articles for the Free Press in 1993 that described how bond underwriters, bond attorneys and financial advisers were a cartel sucking huge amounts of interest money away from Michigan public schools. As a result of my articles, the Michigan Legislature banned CAB's in 1994. That ban is still in effect. California's Legislature enacted a milder ban in 2012 as a result of my blog posts. Still, Michigan and California are the only states that have taken action to regulate this pernicious form of public debt. Thanks to the Free Press in 1993 and thanks to joelontheroad.con in 2012. I also wrote a satire on the news industry: Cross Purposes, or, If Newspapers Had Covered the Crucifixion. I've gotten flak about his book from some J-school profs, one of whom wrote that she would not assign my book in her class because I'm telling her students they don't need her. Indeed, marketing of Cross Purposes has not gone well. Sales are stuck in the high two digits. I am looking forward to receiving AJHA journals. I want to see what kind of articles you are publishing. I believe that I could contribute. I have taught News Reporting and Writing and Investigative Reporting at Wayne State University. I taught Mexican History at Eastern Michigan University. George Garrigues, emeritus, Lincoln University of Missouri and University of Bridgeport, has published Marguerite Martyn, America’s Forgotten Journalist as an ebook through CityDeskPublishing.com. It is available on Amazon, and a print version will be ready soon. Information from Marilyn Greenwald’s biography A Woman of the Times, Journalism, Feminism and the Career of Charlotte Curtis (Ohio University Press, 1999) was used in a September 21 New York Times story, “When the Times Kept Women Reporters Upstairs,” about the history of the women’s pages at the Times. Mark Holan's piece about American journalist William Henry Hurlbert’s 1888 travels in Ireland was published on “The Irish Story,” a Dublin-based website. The article was drawn from Holan’s 40-part blog serial, "Ireland Under Coercion, Revisited," and included research at Trinity College Dublin. Jon Marshall, Northwestern University, co-authored an Op-Ed for The New York Times, “The Myth of Watergate Bipartisanship,” published Aug. 14. Jon collaborated on the column with Michael Conway, who served as counsel for the House Judiciary Committee during its impeachment inquiry of Richard Nixon. Jon also appeared on CNN’s “Newsroom” Aug. 25 to discuss the column and historic similarities and differences between the Watergate era and now. Football and fall have finally arrived, but temperatures have still been scorching down South. Many of us are looking forward to cooler weather when we meet in Salt Lake City for the 2018 AJHA National Convention. In Alabama, though, historians have good reason to remain hot under the collar. The Dallas Morning News has reported that the Texas State Board of Education recently voted to remove certain historical figures from their curriculum, which means they will also be absent from future textbooks. Their reasoning is that children are required to learn about too many people from the past, and there needed to be some streamlining. They designed a rubric to determine which historical figures would score high enough to remain in the curriculum and who would be removed. After the scores were tallied and the penalties assessed, it was decided that third graders would no longer be forced to learn about one of the most influential and inspirational women in our country’s history, Alabama’s own Helen Keller. Like a kicker who missed one too many field goals, she just didn’t make the cut. But, Keller, whose story is recounted in plays, movies, and books, isn’t alone. In fact, some would say she’s in pretty good company, as she is joined by the first woman to run for president as the candidate of a major political party. That’s right, the one who actually won the popular vote only to lose the Electoral College. Gender aside, it seems just the civics lesson involved in how our elections work would be enough to keep Hillary Clinton in the history books. But, that’s not how they do it in Texas. No, in Texas, history is often influenced by groups such as Texas Values, whose president, Jonathan Saenz, is pleased by the board’s decision to keep textbook passages on Moses’ influence on the Constitution, Arab countries’ responsibility for conflict in the Middle East and the Rev. Billy Graham. All of this should give us pause for several reasons, and foremost among them would be the idea that a partisan religious organization would wield any influence in the area of public school textbooks. But, historically, they do, and that’s not just in Texas. In fact, textbook decisions made in Texas often influence and reflect school board curriculums across the country. All said, we are reminded once again about the importance of teaching an inclusive history, one that represents the varied cultural historical heritages of our country. That’s what a public school history education should do in order to teach and inspire American students of all races, genders and religions. Removing women like Clinton and Keller from curriculums that too often are saturated with one historical perspective does a disservice to all underrepresented groups, and especially to their children. Sadly, the truth is that many school districts won’t decry the removal of Clinton from the history books. Some will be glad to see her go because they disagree with her politically or just don’t like her. There are a great many men, though, with whom I disagree, say Joseph McCarthy or Robert E. Lee, but they certainly belong in our history books. History is not a popularity contest, no matter what the rubrics say. It’s a record of our past, the good, the bad, and the ugly. As for Keller, there might be a bit of a backlash. Maybe Texas thinks it’s ok to mess with Keller, but they should be careful with Alabama, on and off the football field. The peer-reviewed quarterly journal of the American Journalism Historians Association has awarded its 2018 “Article of the Year” prize to Dr. Tom Mascaro of Bowling Green State University. American Journalism’s editors selected Mascaro’s “The Blood of Others: Television Documentary Journalism as Literary Engagement” as the best article to have been submitted to the journal over the last year. In his article, Mascaro argues that documentary journalists have been too narrowly defined as strictly journalists. Mascaro posits documentarians, like their counterparts in literature, intimately engage with and immerse themselves in the topics they research, which warrants examining documentaries as both acts of journalism and engaged literature. Mascaro will be recognized for his work at the upcoming AJHA National Convention, Oct. 4-6 in Salt Lake City. To me, archives are a lot like churches. Both hold ancient texts; both operate in hushed silence; and both have too few visitors. During my career as a journalist, I had visited a few archives, but more to poke around and see what might be there, hoping to stumble upon something I could use for a story. Good research, however, requires more than just groping in the dark for a light switch. Good research tries to figure out where to look before the flailing begins. As a doctoral student, I rediscovered both my reverence for archives and artifacts and the pure excitement behind realizing you just may have found something important. Under the demanding but kind hand of Wayne State University’s journalism historian Dr. Michael Fuhlhage, I began a project that examined how the United Auto Workers used the media to recruit African-American workers in 1940s. Over the course of the semester, Dr. Fuhlhage patiently helped me hone my skills to comprehensively and meticulously pour through documents filed away that rarely see sunlight. Wayne State’s Walter P. Reuther Library houses all of the UAW’s archives and contains a staggering amount of material ranging from internal memos and handwritten notes to meeting minutes and various campaign flyers. However, as I’m sure many historians know, finding these documents and determining their significance remains is no easy task. Combining my journalism skills and carefully plotted instructions that showed me how to organize my findings (and later interpret them), I folded away my personal belongings in a hallway locker and entered the archive’s examination room with just a list of boxes I hoped to view, a pencil, and my camera. I set up at a large oak table and took in the cathedral-like atmosphere. A few other scholars quietly worked around me, combing through files. I opened one reserved box and was hit by that sweet pungent smell of damp paper and began my exploration. I worked for more than two weeks – and having strategically invested in cookies for the archivists on a few days -- found the documents that brought to life the first paper I would have accepted at any academic conference – the 2017 American Historical Journalism Association’s national conference in Little Rock, Arkansas. I had only a vague understanding of how many hours I spent in the Reuther because it was so easy to lose focus on the task at hand and start reading everything. Six banker boxes waited for me when I walked in the first day and every day after that there would be between eight and 10 sitting on library carts. Walter Reuther, a founding member of the UAW, made famous when Henry Ford’s team of thugs beat him outside of the Rouge River plant, had more than one hundred feet of documents. Telegrams from President Franklin D. Roosevelt, letters for dignitaries, and Reuther’s handwritten edits on onion skin drafts of speeches that would embolden union members to continue their work were now in my hands. Another box from another UAW official had notes about how all of the union leaders carried guns because of the constant threats made against them, and how on one night, the second president of the UAW and Reuther’s brother, Viktor, almost killed each other in a dark alley. It was easy to lose myself in the history I was physically holding. But I did have a paper to finish, and I resisted the urge just enough to discover the first bulldog edition of the UAW’s weekly newspaper that was printed exclusively for African-Americans. While I have never found a reference to this paper in previous literature, the paper was sitting right out in the open in a bounded edition of the papers. The only difference was that every photo in the eight-page tabloid paper included African Americans and the stories were written about and for African Americans. As it would turn out, the UAW’s role in recruiting African Americans would have a profound impact at other unions and throughout the automotive world. It would still take decades before the civil rights movement would take hold – something the UAW would eventually join – but many strategies first employed by the UAW would be used by African Americans fighting for civil rights. As part of a different historical research team led by Dr. Fuhlhage, I assisted with a second paper accepted at the 2018 AJHA national conference examining how newspapers around the country in 1860 wrote about succession and the editorials that followed. We traced the exchange programs and examine how stories moved around the country more than 150 years ago. Anyone who immerses themselves in those papers immediately understands that any argument that suggests that the Civil War was not about slavery has only a loose grip on reality. A sharp focus and insight into the past certainly crystalizes what is happening today in ways that will continue to produce fascinating research on the human’s race inability to learn from its own mistakes. While I began my academic career strictly as a political communication scholar who loves journalism, it is through AJHA and the Dr. Fuhlhage’s infectious excitement in journalism history that has broadened the scope and depth of my scholarship. At the end of the day of researching, having dug through dozens of boxes, hundreds of files, you can judge how hard your worked by how dark the ink stains are on your hands. It’s immensely satisfying. Especially after you have on your camera pictures of a brochure created by the UAW in 1941 and used exclusively to recruit African Americans into the union that changed the course of the future. Those little discoveries continue to build up for me, and I understand yet another church-archive similarity. When you find something meaningful, even an atheist like me realizes that there just might have been divine intervention. G. Scott Burgess is a second-year doctoral student at Wayne State University. A former paratrooper and journalist, Scott has been a reporter, editor, war correspondent, and automotive critic. Scott’s scholarship includes political communication, incivility, new media and journalism history. The editors of American Journalism, the peer-reviewed quarterly journal of the American Journalism Historians Association, have announced Dr. Susan E. Swanberg of the University of Arizona’s School of Journalism as the winner of the 2018 Rising Scholar Award. Swanberg received this honor in recognition for her ongoing research titled “Spinning Science: Journalism’s Role at the Interface of Science and Public Policy During the Birth of the Atomic Age.” "I'm honored and thrilled to be the recipient of an AJHA Rising Scholar Award,” Swanberg said. “With this award I'll be able to visit archives crucial to my research on journalism’s role at the interface of science and public policy during the birth of the atomic age. I look forward to sharing the untold history of science journalism in the early years of the Atomic Era. “I've found AJHA members to be supportive, collegial and inclusive colleagues as well as wonderful scholars. Thank you AJHA for your support! I will use this award wisely and well." Swanberg’s research will examine not only the impact of journalism on science policy in the mid-20th century, but also the lasting effect of the work of key scientific journalists on today’s scientific landscape. The Rising Scholar Award winner is chosen annually by the editors of American Journalism. The award is designed for scholars who show promise in extending their research agendas. Jean Folkerts, former dean and alumni distinguished professor emeritus at UNC-Chapel Hill, reports, "I have a collection of materials regarding the history of journalism, public relations and advertising education history. It probably would fill a small box movers use to move books. If anyone is interested in having this collection, I’d be happy to ship it to them for the cost of shipping. If you are interested, please contact jfolktns@gmail.com. Dr. Thomas A. Mascaro is a documentary historian and the author of Into the Fray: How NBC’s Washington Documentary Unit Reinvented the News (Washington, D.C.: Potomac Books, 2012), which won the 2013 James W. Tankard Award for Best Book on Journalism given by the Standing Committee on Research of the Association for Education in Journalism and Mass Communication (AEJMC), honorable mention from the American Journalism Historians Association (AJHA), and recognition from the Frank Luther Mott-Kappa Tau Alpha Journalism and Mass Communication Research Award. His articles and reviews appear in American Journalism, Journalism and Mass Communication Quarterly, Journalism History, Journal of Broadcasting and Electronic Media, and the Journal of Popular Film and Television. His analysis on “The Benjamin Report” earned Mascaro the Annual Covert Award in Mass Communication History for best article of the year (co-winner, 2006, AEJMC History Division). Dr. Mascaro earned his Ph.D. in Radio-TV-Film from Wayne State University (1994) and Master of Arts Degree in Communication Studies from the University of Michigan (1990). He is a professor in the School of Media & Communication (SMC) at Bowling Green State University, where he was a finalist for the Master Teacher Award in 2013. Dr. Mascaro is the Advisor to the SMC Documentary Minor and teaches undergraduate courses on documentary history before/after 1968, film-TV-videogame criticism, and media history. He co-founded the Documentary Division of the Broadcast Education Association (2004) and was its first chair, 2005-2008. 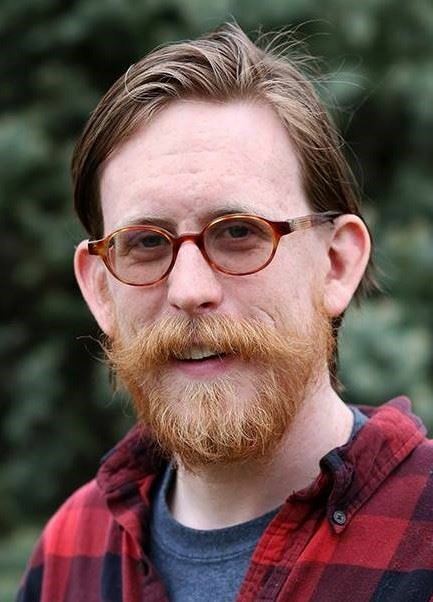 He teaches graduate classes on Critical Media Analysis, Philosophical Foundations of Communication Theory, and Documentary Studies and has been on dissertation committees dealing with documentary ethics, practices, and fandom, and media depictions of gender. He is also researching a project on documentary ethics and standards and working on the sequel to Into the Fray titled Hard Truths: Documenting America’s Social/Global History from Johnson to Reagan. Gerry Lanosga's research and teaching revolve around the practice of journalism from both contemporary and historical standpoints. In particular, his interests include the development of journalism as a profession, prize culture in journalism, and journalism's intersections with public policy through investigative reporting and the use of freedom of information laws. Lanosga completed his Ph.D. in 2010 at Indiana University and taught for three years at Ball State University before returning to IU. Previously, he spent nearly two decades as a print and broadcast journalist. He worked nine years as an investigative producer at WTHR-TV, the NBC affiliate in Indianapolis, where his work won numerous state, regional and national honors, including the duPont-Columbia award, the George Foster Peabody award, Sigma Delta Chi’s public service award, and the Freedom of Information medal from Investigative Reporters and Editors. Before that, he was a reporter and columnist for The Indianapolis News and The Indianapolis Star. 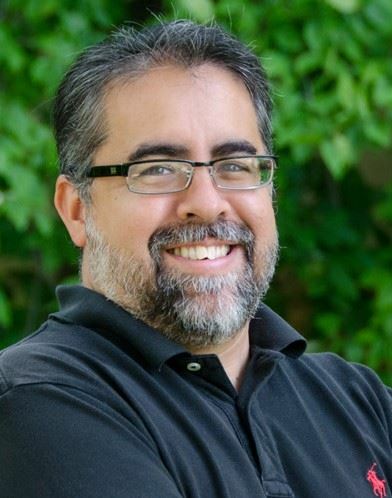 A frequent speaker and writer on issues relating to open government, Lanosga serves on the boards of several non-profit organizations working in that arena – the Midwest Center for Investigative Reporting, the Indiana Coalition for Open Government and the Indiana Debate Commission. In addition to his scholarly work, he is a regular contributor to the Indianapolis Business Journal's Indiana Forefront political blog. Lanosga is married and has three sons. Dr. Willie Tubbs is an assistant professor in the Department of Communication at the University of West Florida. His expertise in communications is broad and includes interactive media, message design, journalism and media relations. Tubbs’ primary area of research is media history with a focus on 20th Century American media. In addition to his academic and teaching career, Tubbs has worked as a journalist, magazine editor, writer and reporter. Tubbs has served in numerous volunteer capacities. His affiliations include the American Journalism Historians Association and Association for Education in Journalism and Mass Communication. For his work in academia, Tubbs has won numerous awards for teaching, presentations and papers. Tubbs received a bachelor’s degree in journalism from Louisiana College, master’s degree in interactive media from Quinnipiac University and a doctorate in mass communication from the University of Southern Mississippi. Tubbs enjoys spending time with Mary Beth, his wife; Scarlet, his Pomeranian; and Charlie, his cat. He is also a fan of traveling, reading classic works of fiction and weight lifting. Ken J. Ward is an assistant professor in the Department of Communication at Lamar University. 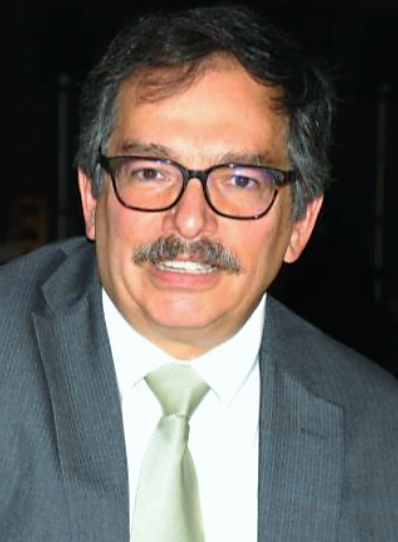 His research explores both historical and contemporary dimensions of journalism with an emphasis on the relationship between journalism and community. Current projects include an exploration of the impact of past and present trends in journalism on social capital in the United States. 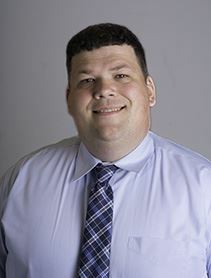 He currently serves as registrar of AJHA and a member of the 2018 AEJMC Presidential Task Force on Building Connections, and he is a charter advisor to the Lamar University chapter of the Society of Professional Journalists. His research and teaching have received numerous awards, including the Excellence in Teaching Award from the Midwestern Association of Graduate Schools, and he is an inductee of Kappa Tau Alpha. Ken’s research appears in such peer-reviewed publications as Journal of Media Law and Ethics, Journal of Media Ethics, and Journal of Magazine and New Media Research. The American Journalism Historians Association has selected Steven Casey of the London School of Economics and Political Science as the winner of its Book of the Year Award for 2018 for The War Beat, Europe: The American Media at War Against Nazi Germany (Oxford University Press). The award, which recognizes the best book in journalism history or mass media history published during the previous calendar year, will be presented at AJHA’s Annual Convention Oct. 4-6 in Salt Lake City, Utah. Casey is a professor of international history who specializes in U.S. foreign policy. His book—based on hundreds of manuscript collections, many previously unpublished—provides the first comprehensive account of how American war correspondents reported World War II. Two authors also will be given honorable mention for the award: Carolyn Edy from Appalachian State University for The Woman War Correspondent, the U.S. Military, and the Press: 1846-1947 (Lexington Books), and Julia Guarneri from the University of Cambridge for Newsprint Metropolis: City Papers and the Making of Modern Americans (University of Chicago Press). “Typically we name one winner, but this year’s competition included so many wonderful works, judges agreed we should award two honorable mentions,” Edmondson said.